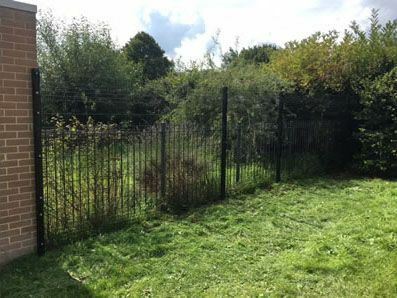 We supply, install and repair all types of domestic, commercial and agricultural fencing throughout Oxfordshire. Our quotes are free and without any hard sell - just lots of help to guide you through the options if you're not sure what type of fence you want. 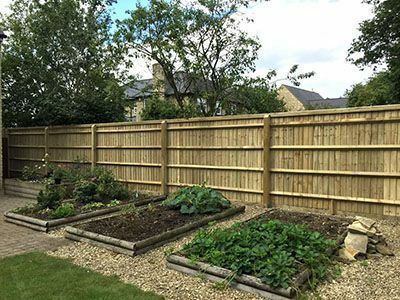 If you are looking for garden fencing in Oxfordshire and need inspiration, please read our “What's the Best Type of Fence for Gardens?” article for ideas. 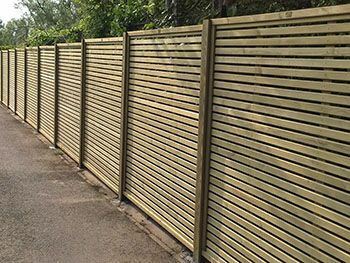 Close board fencing is a strong, solid fence constructed with vertical feather-edge boards, using a rail framework for bays or battens for panels. Can be erected using timber or concrete posts and gravel boards. Trellis can be added on top as a decorative feature. 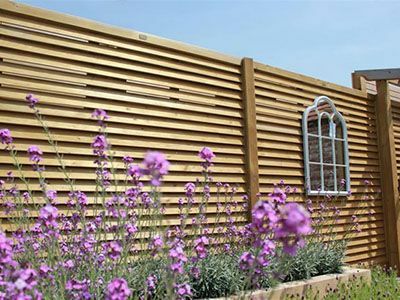 For a modern theme to your garden or outside space, slatted panels offer a more contemporary fencing look, and can be supplied in a range of heights and styles to suit most applications. 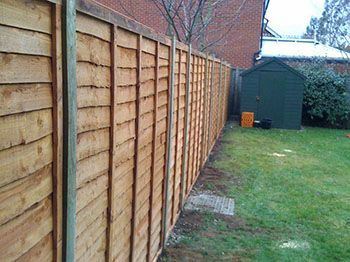 Larch lap fence panels are a popular budget option made with horizontal slats. They can be used with timber or concrete posts and gravel boards and can have trellis added if required. 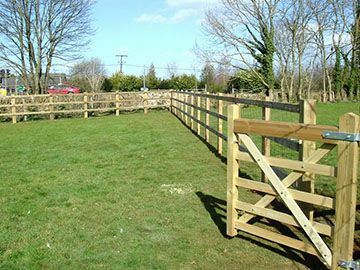 Post and rail is a basic ‘country style’ fence using timber posts and a choice of number of rails. Different styles are available using sawn or rustic timber. 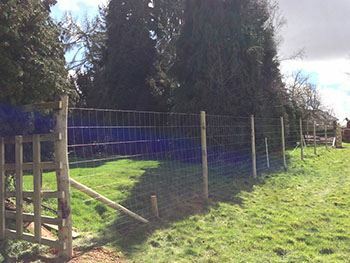 Post and rail fencing can have wire mesh attached to deter livestock. Steel palisade fencing is usually used in commercial applications. It offers secure perimeter fencing that is robust and long lasting. 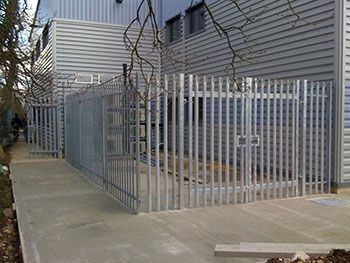 Made of steel vertical pales, with a choice of finishings, it can incorporate large opening gates. 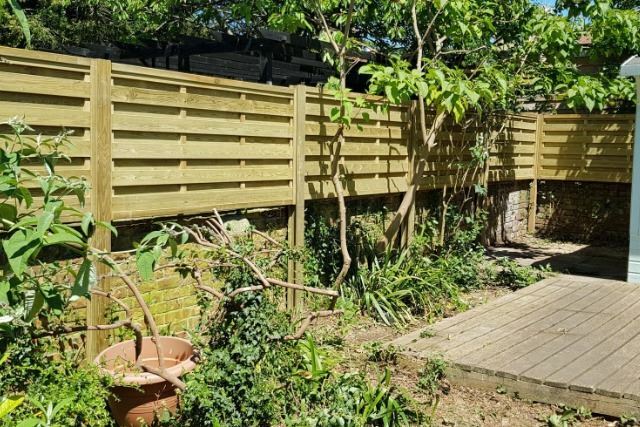 Also known as ‘picket fence’, timber palisade fencing is an attractive fence with a choice of pointed, rounded or square tops, and a choice of gap between each pale, the standard being 75mm. At extra cost, this fencing can be planed all round, ready for painting. 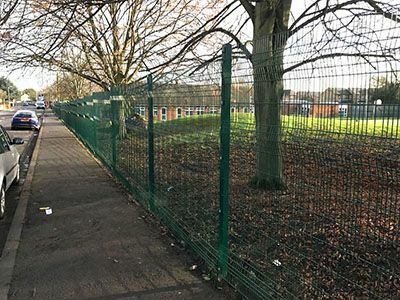 Chain link fencing is ideal for a simple boundary marker or a permanent secure fence. It's often used in commercial applications and comes in galvanised or PVC-coated black or green. chain link can be erected using concrete or metal posts. Stock fencing is a galvanised wire fence that can be used with timber stakes or post and rail fencing to keep livestock in or out. It can also be used in conjunction with barbed wire. Deer fencing is a galvanised wire fence used with timber stakes, usually at least 1.8m high. 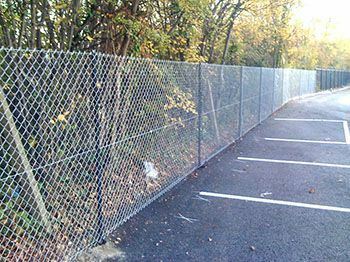 Available in a wide range of heights, colours and gauges, security mesh is a more cost effective alternative to steel palisade. Perfect for schools and commercial premises. Contemporary fencing suits most outside spaces and can really help pull together a modern theme when teamed with contemporary garden furniture, seating, planters and paving. Hit and Miss fencing has pales that are fixed alternately on the front and back of the fence panel. 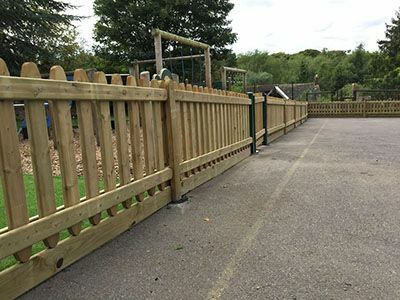 Fencing suitable for schools and other educational institutes including perimeters, playgrounds and sports areas. 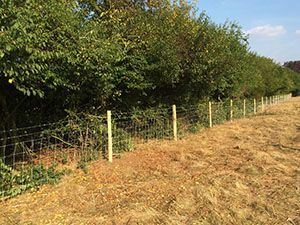 We can supply fencing to help protect your farm's crops from wildlife or prevent your livestock from escaping.